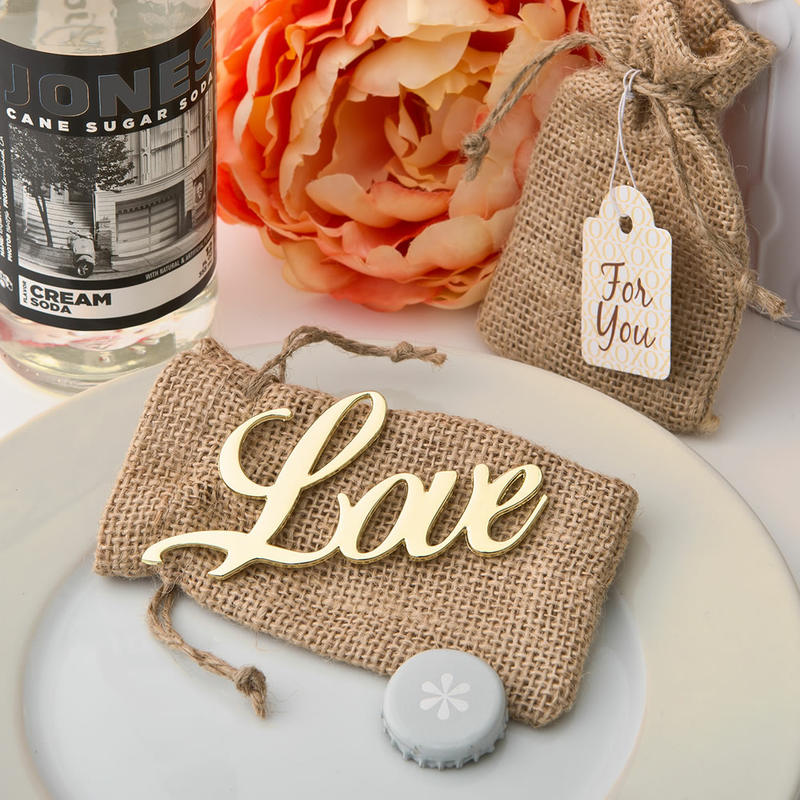 You want rustic wedding favors with a little bit of formal flair and these love bottle openers fit both purposes! Country weddings and bridal showers are all the rage and there's a lotta love in it! Our delightful opener is formed in solid cast metal and has the word 'Love' in an elegant script finished in gold tone. The letter L is cut out at the base to form the opener and each comes in a real burlap bag with a jute drawstring and a general use "For You" tag. The favor measures 3 5/8" x 2".